North Florida's Trusted Plumbing Professionals! When a plumbing issue develops in a home or business, the attempts made to find the root of the problem can quickly turn into a game of cat and mouse. If the yard has to be dug up or an interior wall torn open, property owners are left with much more than the inspection to contend with. But our plumbing repair company provides cutting-edge plumbing and sewer camera inspections to quickly locate and diagnose the vast majority of plumbing and sewer issues in North Central Florida. Experiencing plumbing issues is never enjoyable, which is why Sunshine Plumbing and Gas takes pride in resolving them in a timely manner. To achieve this, we perform camera inspections that help us pinpoint the cause and location of the issue without major disruptions to your everyday life. A special camera connects to the end of a flexible cable, which is then inserted into the plumbing or sewer line. Our Ocala plumbers watch a monitor to view the inside of the pipes. Because the camera and cable are waterproof, the equipment can go deep into the plumbing system. It can also fit a variety of pipes, such as mechanical, sewer and storm pipes. Attached to the camera scope is a transmitter that helps our plumbers mark the spot of a blockage. What Does A Camera Inspection Do? Camera inspections provide a first-hand look at the inside of a home’s plumbing system. Sunshine Plumbing & Gas uses high-resolution equipment that gives us a clear view of blockages and other issues. 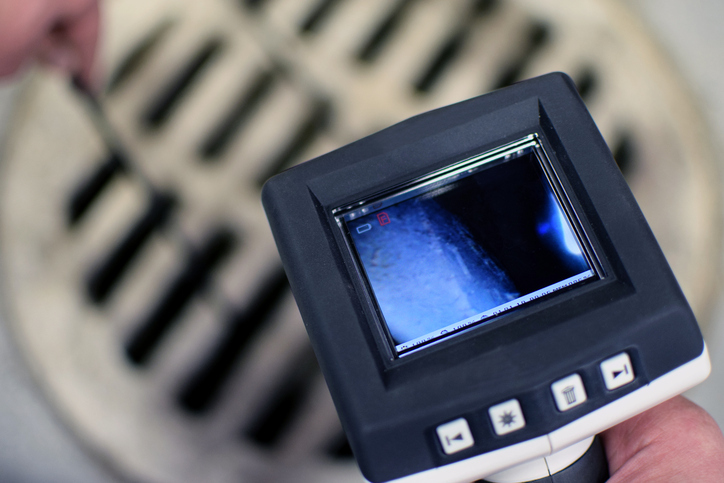 Yet, a camera inspection can do more than simply locating the source of a clogged drain. Many homeowners are unaware or unsure of the type of pipes used in their residential plumbing or commercial plumbing system. A camera inspection lets us properly view specific details about the pipes — including the material the pipes are made from — before starting any work. This is important because the type of pipe material can determine how an issue must be repaired. Depending on the size of a home or business, its plumbing system can seem like a never-ending labyrinth, especially when there’s an issue somewhere. A camera inspection shows where pipes connect, pipe direction, and nearly any other detail necessary to understand the structure. This helps determine the complexity of an issue. Why Is A Camera Inspection Effective? The biggest benefit of a camera inspection is that this method is noninvasive. We’re able to immediately tell whether repairs are needed and what type of repair is most appropriate. Our plumbing company believes in finding the root of an issue as quickly as possible to save you time and money. Camera inspections can also alert you of a potential issue before it becomes a big problem. If there is damage beyond repair, we can provide timely piping services to restore your overall plumbing system to optimal function for years and years of effective and efficient function.